An expanded Heathrow would be the UK’s best value-for-money infrastructure project according to new analysis of Airports Commission research and HM Treasury data. 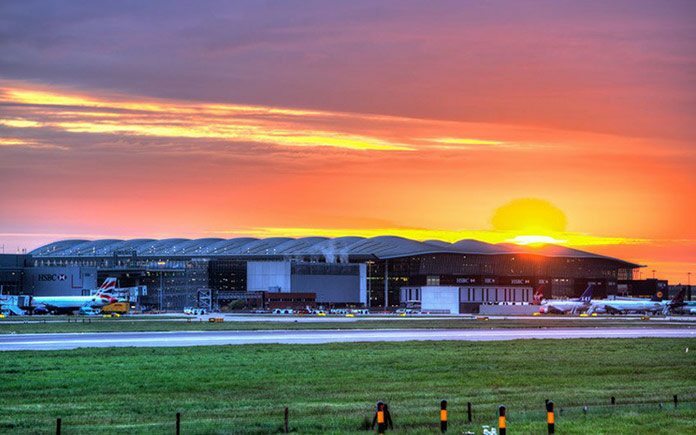 In a speech to the Aviation Club, Heathrow CEO, John Holland-Kaye will say that politicians could have confidence that expanding the nation’s airport hub would be a phenomenal investment in the future of the UK and create an economic legacy for the next generation. Independent analysis of the Airports Commission’s most optimistic scenario by research company QUOD shows that a third runway at Heathrow would have a benefit cost ratio (BCR) of up to 10.2, making it by far the best value approved or proposed infrastructure project in the UK. The BCR is calculated based on the benefits returned, minus the costs incurred to public finance. A BCR of between 2 and 4 is regard as “high value for money”, and a BCR above 4 is regarded as “very high value for money”. The Airports Commission has assessed that Heathrow expansion would create up to £211bn of economic growth and 180,000 jobs across Britain. It also finds that expanding the UK’s only hub would require a public contribution of £3.9bn for surface access improvements. Using the Commission’s scale of economic benefit, from its more conservative central case to the most optimistic, an expanded Heathrow would have a BCR of between 4.1 and 10.2, making it “very high value for money”. Heathrow believes that only £1.2bn in public contribution would be necessary – which would triple its value for money. BCR is calculated based on the benefits returned, minus the costs incurred to public finance. HM Treasury grades projects with a BCR of between 2 and 4 as “high value for money”, and a BCR above 4 is regarded as “very high value for money”. Amongst other transport projects HS2 has a BCR of 2.3, Crossrail 2.76 to 3 and Thameslink 1.4. Mr Holland-Kaye revealed the analysis alongside a new vision for the UK’s only hub airport – to deliver the best airport service in the world. Over the last 10 years, Heathrow has invested over £11 billion of private money to build Terminal 5 and the new Terminal 2 – taking the airport from one of the lowest rated in the world to being ranked by passengers as the 8th best airport and for the first time ahead of Amsterdam as the best in Western Europe. With Terminal 1 closing at the end of this month, Heathrow will enter the next phase of its transformation – doubling the size of Terminal 2 to allow for the closure of Terminal 3 –giving Britain a world-class, efficient airport to compete with other leading global hubs. Mr Holland-Kaye emphasised expansion at Heathrow will create the world’s most modern, efficient and best connected hub airport at the heart of an integrated transport system with links North, South, East and West with 5 motorways and 5 rail lines. He also added that Heathrow would become a ‘third generation’ of airport designed not just around passengers but also the environment. The Government, in its National Infrastructure Plan (2014), has outlined the top 40 priority infrastructure investments in the UK based on their contribution to economic growth, the level of risk should they fail, their ability to unlock or attract significant private investment, and nationally significant investment that delivers substantial new or replacement infrastructure with enhanced quality, sustainability and capacity. Many of the biggest schemes in terms of capital cost are rail – including HS2 and Crossrail. These are the most expensive transport schemes in the Government’s Top 40 Infrastructure Projects list for which BCR has been calculated – highlighting that Heathrow is comparably a better value-for-money project. The Great Western Electrification (beyond Newbury) has a BCR of 2.58.